Do you want to change your life for the better? Events in our life and our habitual behaviours can prevent us from being the best we can be, and from having the best possible experiences. I use solution-focused hypnotherapy to help you to make positive change in your life. This is a two-way process, where you are very much in control, and together we can shed of negative behaviours and find a more positive path. We all have the ability and right to be happy and fulfilled. I can help you achieve these goals. Based on neuroscience, I draw on both the intellectual and emotional experiences of my clients, but I focus on the solution and not the problems. Rather than dwelling on the past, I harness the potential of positive change to help you move on from whatever issues you may be facing. Using a step-by-step, tailor-made approach, I adapt each session according to your specific needs. I am Veronika Geeson. 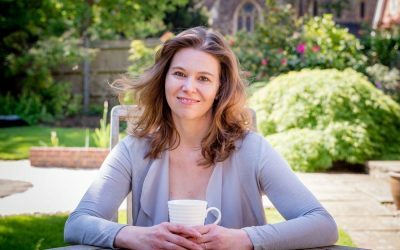 I am a fully qualified solution-focused hypnotherapist and have been practising as a therapist since 2013 at Integrated Health in Sevenoaks and previously in Harley Street, London. Stress, phobias, depression, confidence, social anxiety and anger issues are just some of the problems that I deal with. My objective is to produce long-term change, assisting you to think and react differently to issues you face. I work with adults, teenagers and children (from the age of about six). I am here to help you turn your life around. Anxiety can be crippling but it needn’t be. By focusing on the solution rather than the problem, you can resolve any worries that are holding you back and move on to a better place. Confidence comes from within and hypnotherapy is a powerful tool for building self-esteem. I can help you turn self-criticism and negativity towards a more rewards-based, positive way of thinking. Depression is an overwhelming and all-consuming state of negative thoughts and emotions. It is not a choice. I have helped many to find their way out of darkness into the light of their minds. Around 30 per cent of people suffer from insomnia, but you needn’t be one of them. With my techniques to tackle sleep problems, you will relax more deeply at night time so ensuring a better, more satisfying slumber. Quitting smoking is almost impossible to do without support. Solution-focused therapy will help you to channel your addiction into a new, positive direction so that you can be free of this issue once and for all. A tailor-made, step-by-step treatment can produce positive, life-long results. Focusing on the individual as a whole, I use client-led hypnotherapy to help you to shed unwanted eating habits. Don’t let your fears hold you back. Deeply beneficial and with quick results, I usually treat phobias within just a few sessions. So whether it’s a fear of heights, spiders, snakes or enclosed spaces, I am here to help. Don’t let overwhelming exam nerves be the reason you can’t reach your full potential. 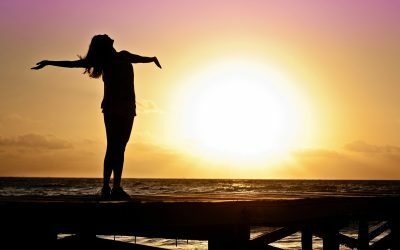 The sense of pressure can be suffocating but my therapy stems any negative spiralling thoughts to create a more relaxed, positive environment in which to thrive. IBS can be debilitating and it’s very difficult to treat medically because the underlying problems may relate to anxiety. I can help to resolve the symptoms through hypnotherapy. Obsessive behaviour patterns need positive redirection and can rarely be solved by the individual alone. I can provide you with the necessary support and guidance to break any unwanted habits so that you can move forward with your life. Living with a post traumatic stress disorder can be devastating but I can help you move on from your trauma. PTSD needn’t control your life. I will meet with you to discuss your needs and what you hope to achieve. From this talk, I build a picture as to your emotional wellbeing and how I can help you. I will also devise a progress chart to measure your progress after each meeting. Every session is specifically geared towards, and led by, you – with no two sessions the same. 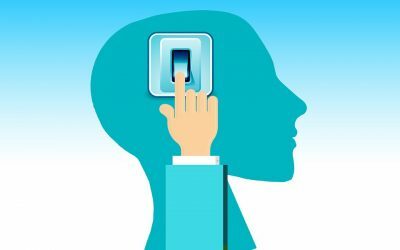 The hypnotherapy is entirely controlled by you and because of this the therapy process is even more powerful and likely to be highly successful. I am a 55 year old woman who has either over or under eaten all my adult life and I finally realised I didn’t want to spend the rest of my life repeating these bad and soul destroying habits so I decided to try hypnotherapy as a last resort. It only took a few sessions and one day I woke up without feeling the need to over eat and now I’m eating normally for the first time since my late teens. I would recommend it to anyone who wants to change bad habits. Does your Mind influence your Weight? What is hypnosis and how is it used in my therapy?